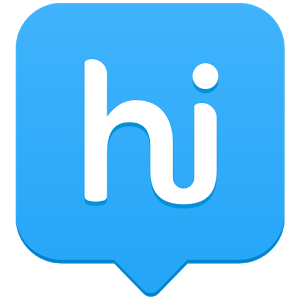 Hike App APK is an instantaneous Messaging Tool for your Android or any windows phone that allows you to get in touch or to communicate with your family members, friends, and contacts even they are offline or they don’t have hike Messenger installed on their own device. Hike App is an instant messaging tool for Android phones that allow us to communicate with all our friends and contacts on the phone, without necessary that they have Hike Messenger APK installed on their handsets. Likewise, other messaging systems for smartphones, the Latest Version of Hike APK give us the opportunity to engage in individual conversations with our friends or create group chats. A bunch of smileys and stickers to express your ideas and expressions in your own language. Safe Privacy: using hike Messenger you can get rid of trackers and stalkers!every single person either you know him from your childhood or any of your relatives like your uncle and aunts or any strange guy in your college or university; you don’t want that they can see any of your stuff like your DP (Profile picture), your updates or any of your status, Just switch to hike and set your desired privacy. Using this awesome feature with hike you can hide the chat from the world that you want to make private and you can only access it using a password! All of your private conversations are now safe and secure from those persons who take your phone or use it without permission. You can also send all kinds of non-media files and documents like Doc, Zip, PDF, PPt and much more using it so, then why someone uses email. Fail to message your friend because they are not online? No worries! 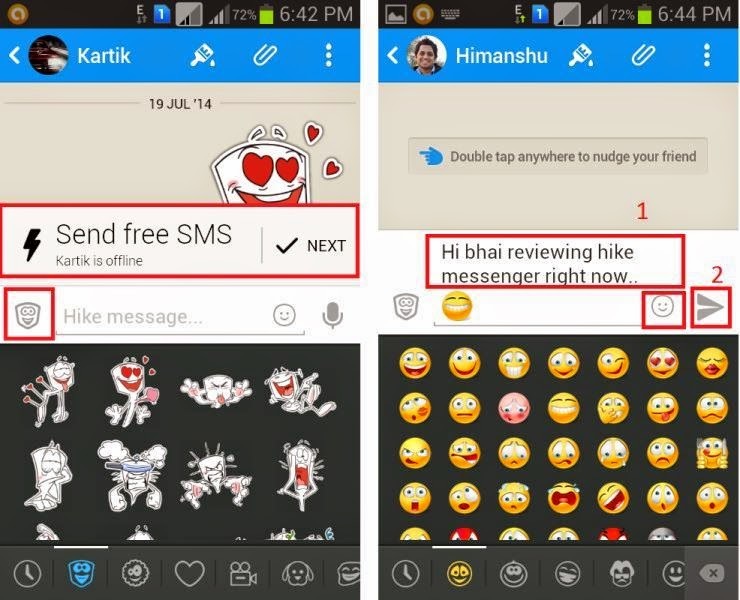 Hike will automatically check whether your friend is offline and then sends your message to them as an SMS, at no cost. When they reply you will get the message in the hike. Sharing large sized data with your friends then don’t worry you can now share videos and large size files of 100 MB each just using the famous hike app. Now that’s what we call Hindi as mast hai dost! While chatting with friends you want to add a flavor of color than just set the desired theme and it will automatically change the theme for your friend too. Let’s have chat with friends in a new taste of color and look of your choice. If your friends aren’t on the hike than still we have good news for you that you can send a FREE hike to non-hike SMS. But this offer is only available in India. Share your videos, location, photos, walkie-talkie Messages, contacts and much more ! Create group chats or chat one-on-one! You will feel like you are having a chat with someone in person because of its super-fast system and networking. The app uses your 2G, 3G, 4G or Wi-Fi (when available) to message with friends and family. You can now store this awesome app on your SD Card!